A modern wedding can take its cues from the past. . Whether you're planning a casual affair or a formal one, the Vintage Bride and Groom Flyer will meet your needs. 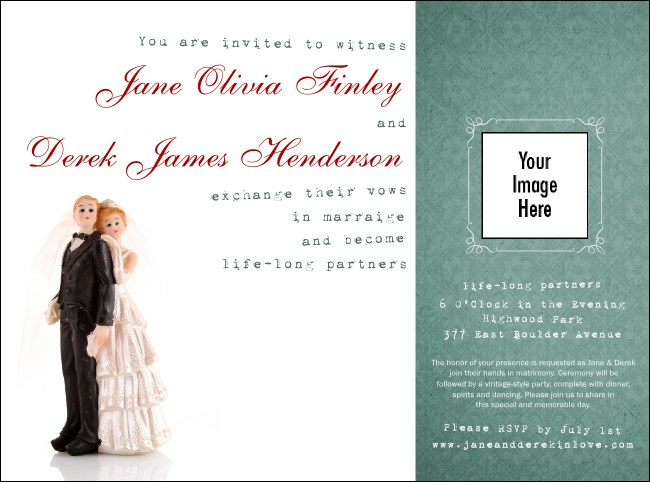 This flyer mixes a retro happy couple cake topper with contemporary design, creating a quirky, whimsical effect. Share your details against a clean background and upload a photo of your choice. TicketPrinting.com vows to have what you're looking for!